But first,I want to announce the January PPP Reading Challenge picture book winner. It was lovely to see everyone’s reading list…thank you all for sharing and taking the time (which I know is precious and in short supply) to add your comments. And the winner is…two winners, actually…Jennifer at Toy Box Years and Milka at Perfecting Motherhood. I’ll email you both so you can let me know where to send the books. I’m looking forward to reading the comments this month…another picture book prize for at least one lucky commenter. Leo, a little tiger cub, seems slow to mature. He cannot read, write, eat neatly, draw…or even talk. His father wonders if Leo will ever learn to do these things, but Leo’s mother tells her husband to have patience. Will Leo’s father stop watching to see if Leo is blooming? Does Leo ever catch up to his more accomplished animal friends? Children mature at different rates…and they all have unique strengths. This is a story that encourages and gives hope to young children who may be slower at learning to tie shoelaces or zip jackets or write their name. And perhaps it may also help those parents who worry when a child does not perform at the same level or accomplish the same things as an older brother or sister. The text is ultra-simple! The glorious illustrations capture Leo’s father’s frustration and Leo’s joy with life itself. Check out the “snowmen” that each animal builds…young children love seeing the snow-elephant, the snow-snake, the snow-bird, the snow-owl and the snow-crocodile. Leo, of course, cannot make one and goes chasing after a rabbit. This is a story every child and parent can relate to. You will need: Strips of colored construction paper (1” x 6”), markers or crayons and a glue stick. 1. Decorate each strip as desired…flower patterns, numbers, letters, zigzags, dots, etc. 2. Put glue on the edge of one strip. Form a loop and press together. Help the child count to 30. 3. Put glue on the edge of another strip. Thread it through the loop and press. Count to 30 again. Now you have the beginning of the chain. 4. Continue until there are enough links in the chain so it will fit over the child’s head and around the neck comforably. I’ve done this project with kindergarten children and they love making each strip unique. They also have a lot of fun counting to 30 as they press the edges together! Of course, there are always a couple of “clever” kids who count by 5’s or 10’s to get to 30 faster…the different rates of maturation of children (like tiger cubs) in action…but their edges often don’t stay stuck! This entry was posted in 2012 Positive Parental Participation Challenge, children's picture books, Perfect Picture Book Friday and tagged children, José Aruego, Leo the Late Bloomer, Picture book, Robert Kraus by viviankirkfield. Bookmark the permalink. Oh my gosh, I won something??? Thank you! Is this the page to share the books we read in February, by the way? Thanks for stopping by…yes, this book is lots of fun…and a great way to encourage a child who feels he is lagging behind…but every child will love it…very colorful and simple! What an important message for children AND parents. This sounds like it would be wonderfully reassuring and so sweet at the same time. Great choice! Great choice, Vivian! I was (and still am, haha) a late bloomer, so I can imagine how comforting this book must be for kids. Thanks for sharing it! Thanks, Remee…glad you liked the selection. This sounds wonderful. Thanks for great review. What a wonderful book for both kids and parents. Not only would it be helpful for kids who are late-bloomers, but also to increase awareness and understanding in kids who are early-bloomers, and may become impatient, or tease late-bloomers. Yes, yes, yes! What a great point, Beth. We are always looking for ways to encourage children to be tolerant, accepting and understanding of others. This book would be prefect for my nephew! Thanks so much for the review! We’ve always loved this book in our house. Great choice! Thanks, Julie. Glad you like the choice. 🙂 It is a really sweet story…and kids really relate to it and love the illustrations. I love this book and what wonderful activities. I can always count on you to share a creative activity! Thank you. So many teachers have such good ideas with their PPB that translate into the classroom. Enjoyed this a lot. Thank you, Pat. I’ve always concentrated on the classics in picture books…and that’s why I’m so thrilled to be part of Susannah’s PPBF…I’m getting to hear about lots of the new great picture books out there! What an amazing resource for parents and teachers she is putting together! What a lovely book and a super craft to do to go with it. 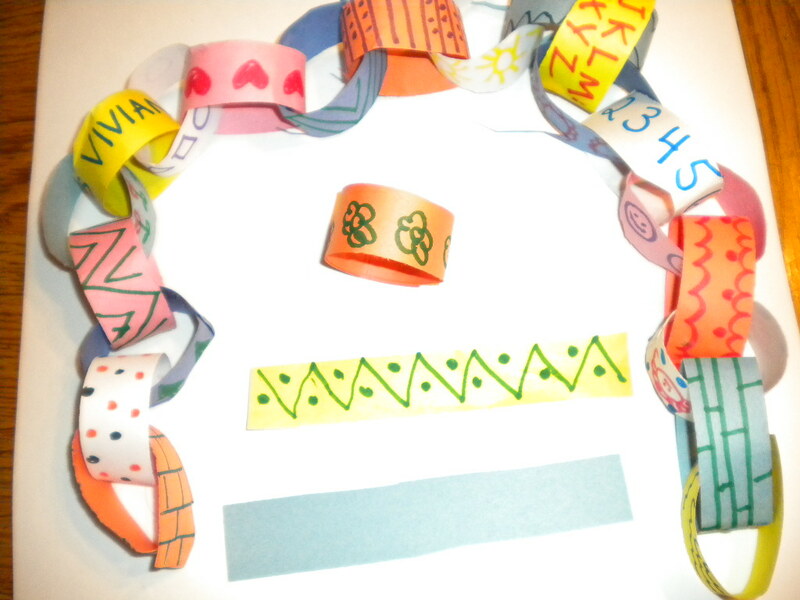 I love making paper chains. This is a great idea. Thank you so much, Catherine. Chains are so versatile…and kids love making them. I like the theme of this book. As parents, we sometimes want to rush things along. Patience is good for both children and parents. Thank you so very much…I’m doing what I love…so I am very very lucky! This sounds like a wonderful message. I love the activity too 🙂 Chains are so much fun to make! Great idea! 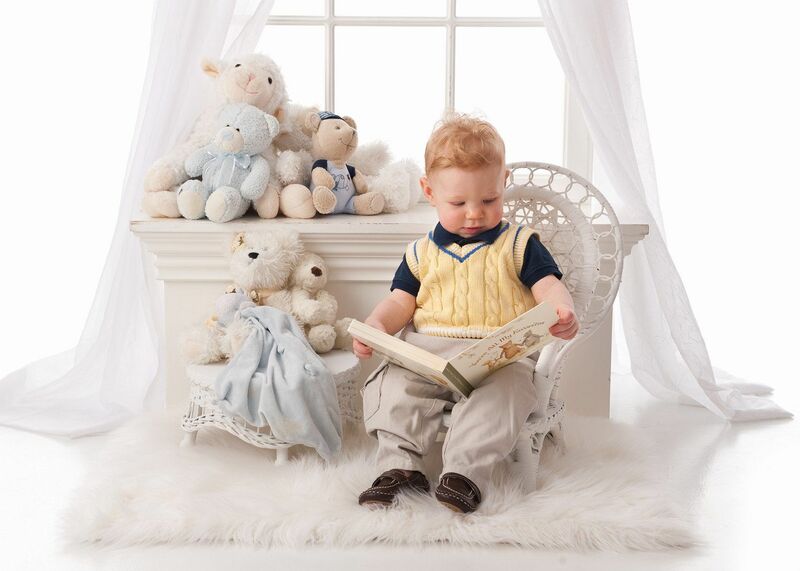 Everyone seems to like the chains…I am all about keeping it simple with young children. With a piece of paper, crayons and a glue stick…they can just about conquer the world…well, perhaps not the world, but at least have a LOT of fun and hone skills they will need in the future. An excellent choice! Parents can get lost in a sea of charts and checklists of how kids are supposed to develop. This book would be a good reminder to them that their kids are just fine as they are. You are right…there are so many books (and experts) out there who tell us what kids should be doing and when…and although it is important for parents and teachers to be aware of developmental stages, it is also important to let our kids be kids…and play…and cut and paste…and be imaginative..and creative! Not only is the book a great choice but I love the craft that goes with it. I think it is so important that kids know how to count and this is a perfect way to teach them. My book “Annie’s Special Day” teaches numbers 1-24 only because of time and how many hours there are in the day. If I ever get a school visit can I use this craft to teach numbers? I also thought of making paper plate clocks after the story is read. 🙂 But this is one that may be necessary for even younger kids. Thanks for sharing. I love the idea of using the paper plate for the clock…I am a fan of paper plates (and corrugated egg cartons and brown paper lunch bags and cereal boxes and anything else that can be recycled or is made of paper and is inexpensive to buy). In the “Cornelius P. Mud, Are You Ready for Bed?” craft, I have the children draw and cut out the clock face and glue it on a rectangular piece of paper…but I think, especially with very very young kids, the paper plate would be perfect…thank you! LOVE this book – such a wonderful reminder that children really do develop at their own pace. Thanks for sharing with us on the Sunday Showcase. I awarded you a Liebster Blog Award. It’s listed on my site: http://childrensbooksheal.com/2012/02/05/liebster-blog-award/. You are awesome! Thank you so very much…I am so appreciative of this honor. 🙂 And will do my best to continue to grow as a blogger to truly deserve this award! Such a good message for children and parents! I love this book. Thank you so much for adding it to our list – I think it’s one everyone should read 🙂 Great activity, too!